Woods, who has undergone multiple back surgeries in his long and illustrious career, is set for his latest comeback at this week's Hero World Challenge. 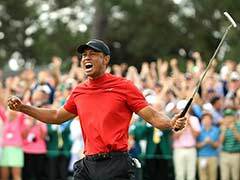 Tiger Woods doesn't know how long he is going to play but is fully motivated to show his kids that he can be a lot more than the 'Youtube golfer' they have seen in their grown up years. 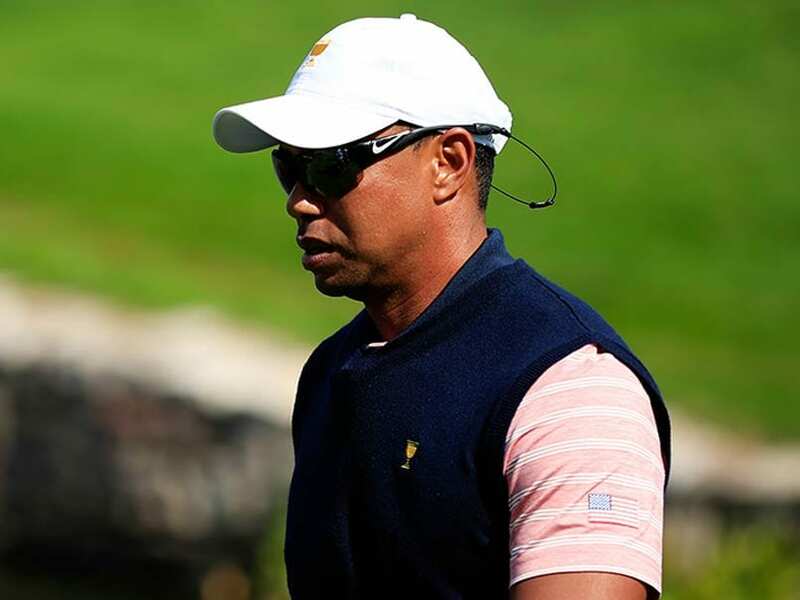 Woods, who has undergone multiple back surgeries in his long and illustrious career, is set for his latest comeback at this week's Hero World Challenge here after a nine-month absence from the sport. He is just happy being pain-free after a long time and wants to be back on the course with his 'friends', whom he will be up against during the week. He also hopes that his kids -- daughter Sam and son Charlie -- see him play a lot on the tour and may be one day carry his bag in a tournament. Ahead of the Hero World Challenge, Woods was asked what Sam and Charlie thought of him as a golf player and whether they know that he was the Lionel Messi of his sport. The legendary golfer recently had an interaction with the star Argentine footballer. "It's more Charlie's, that's his idol. He plays FIFA all the time and it's always Messi, so it's pretty neat to see mykids kind of in awe like that. I thought it was really neat for them to have us back in the locker room just to meet (Luis) Suarez and a few other guys on the team. It was really a surreal moment for me to step back and watch my kids just really appreciate it," said Woods. Do they know that their 14-time major winning father is considered one of the greats of the game? "That's what I was referring to about the quote that my daughter said. I said, Isn't it neat to be a living legend? She said, Yeah, we live with one. I never thought my kids have understood what I've been able to do in the game of golf because they always think I'm the YouTube golfer. They've never seen me in action. "So most of the stuff they've watched has been on highlight packages. They've never seen what I can do on a golf course, and then when I started coming back for this event, Sam wanted to go out on the golf course with me. "She just thought it was so cool I was hitting it where she couldn't see it. Charlie's the same thing, he wants to compete, he wants to play with me, those are things that are special," said the 41-year-old in his first interaction with the media on his return. Woods now wants his kids around whenever he is playing. "I want them to see what I've been able to do my entire career. I've been fortunate enough to play tournament golf for 37 years and I want them to experience some of that, have a better understanding of it. "I don't know how long I'm going to be playing but I want them to come to a few events, I want them to feel it, I want them to understand it a little bit more. 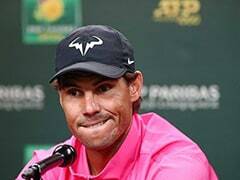 It would be neat to have one of them carry the bag in a tournament," said a relaxed looking Woods as he answered the barrage of questions in detail. 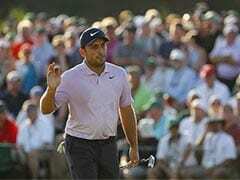 The last edition of the Hero World Challenge was also a comeback event for him but he could not continue for long and withdrew from the Dubai Desert Classic in February. Woods insists this time his body feels much better. "You know, I'm not going to be dunking a basketball anytime soon, but I'm able to live without any lower back pain or any kind of zinging down my leg or have foot drop. I don't have any of those issues anymore. That's why it is very different." Woods further said his future will depend a lot on how his body behaves in competitions. "You know, I hate to be so mundane on this one, but honestly, I'm just looking forward to getting through these four rounds and having an understanding, a better understanding of where I'm at. I don't know where I'm at. What I mean by that is I don't know how hard I can hit it, what shots can I play. "I don't know what the future entails in that regard because I'm still learning about this body and once I get a better understanding I can give you a better answer," he added.